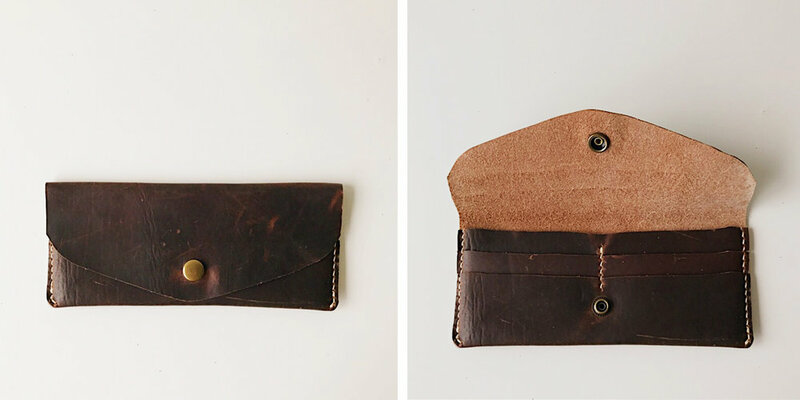 This entry level class is designed to introduce the classic techniques of hand-sewing with leather. 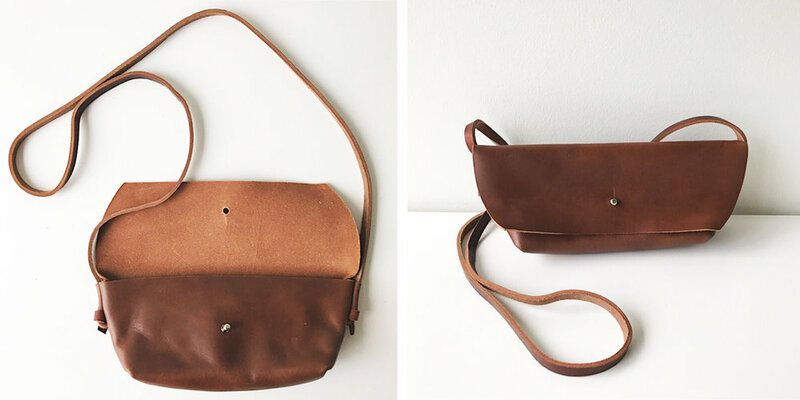 Students are able to choose from projects that demonstrate the basics of working with leather including cutting, punching, hand sewing, riveting, snap setting, finishing and care. 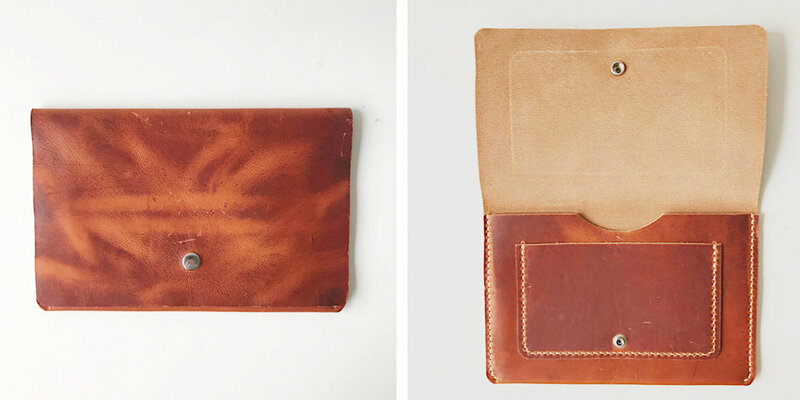 Students will be guided through the process from hide to finished product – leaving the class with their very own handmade project (listed below.) Depending on what you are making, you might need the entire 2.5 hours, but some might finish earlier. 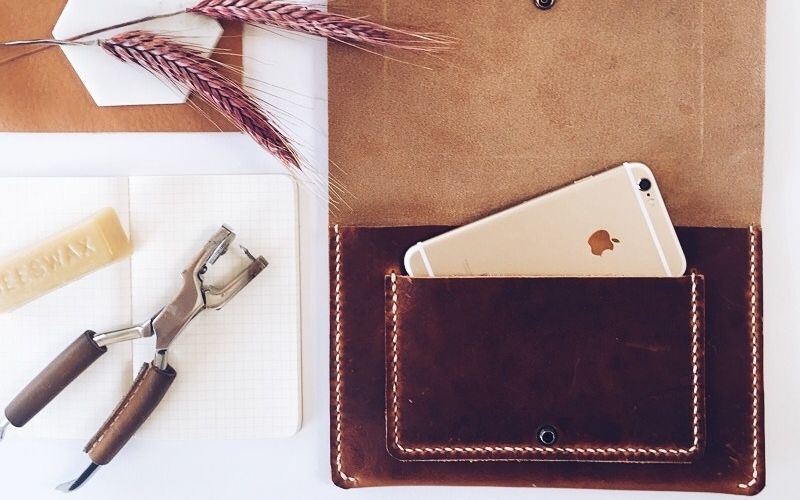 Dan, the master mind behind Merchant Leather, is a completely self taught leatherworker. 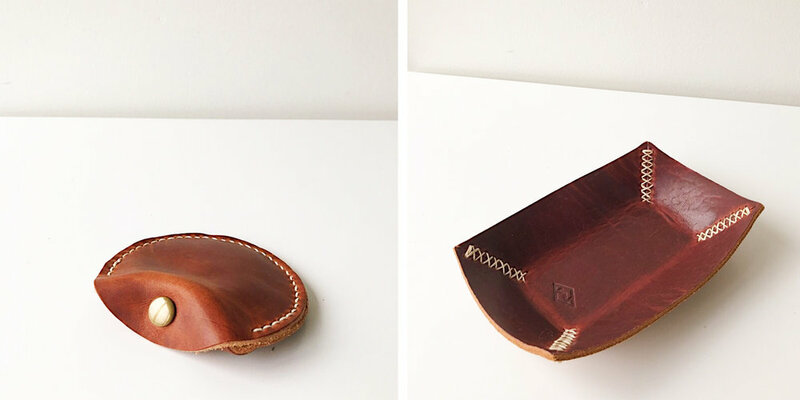 Drawing from traditional techniques as well as trial and error, Dan has developed his own unique style of designing and building high quality leather goods. "This was my first experience at the Lab and I loved it! Daniel was a great teacher, so patient and helpful! The atmosphere was lovely, an unexpected surprise! Loved the greens and candles on the table, the apple cider and thumbprint cookies! Jessica was also very helpful and welcoming as well. It was a great evening to learn something new and come away with a project I'm proud to show off and use! Thank you Lab staff and Merchant Leather!"